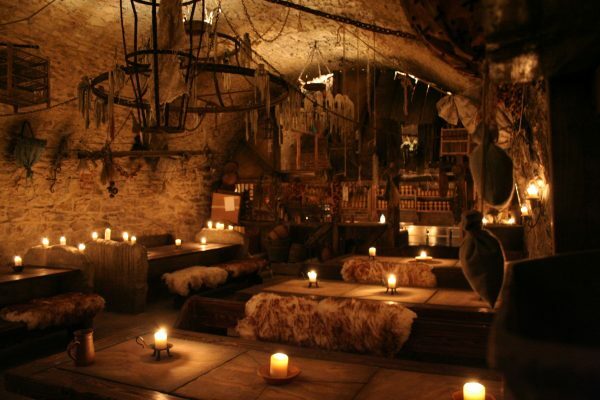 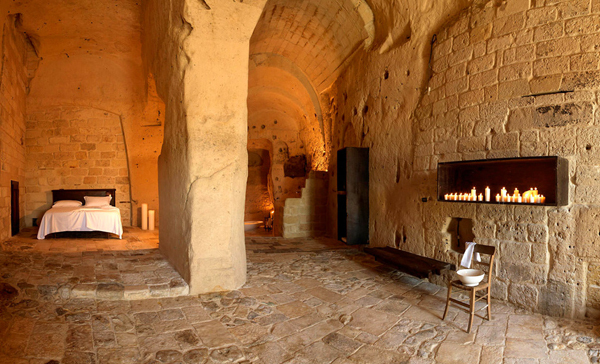 La Grotta della Civita, consists of 21 cave rooms as well as a restaurant, which took a total of 10 years to renovate from what was essentially a series of deserted caves, last inhabited in the 1950s by residents who lived very primitively. 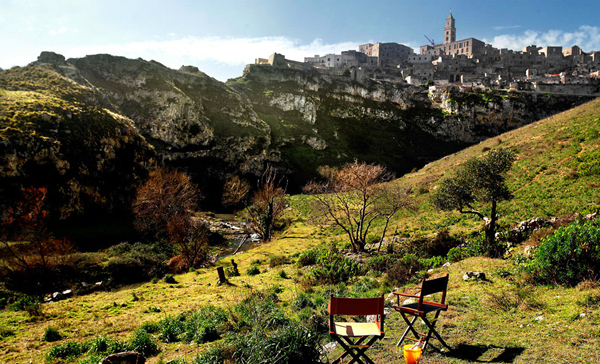 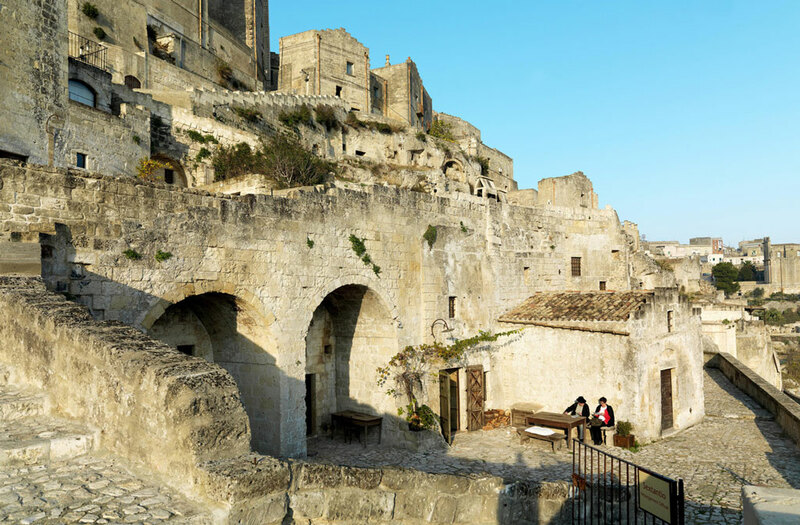 The now UNESCO-listed town of Matera has a prehistoric birthday; it’s dwellings are carved into limestone rock that overlook the Gravina gorge, connected by winding cobblestone streets, built right over the rooftops of other caverns. 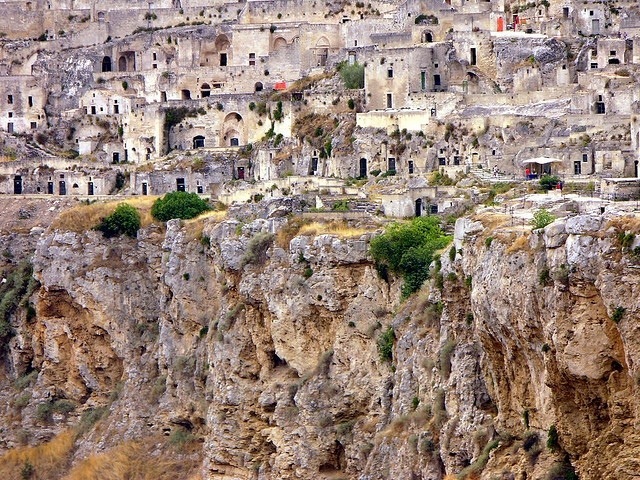 In the 1950s, the Italian government relocated most of the people in the cave towns, who were living without proper sanitation, into areas of the developing modern city nearby. 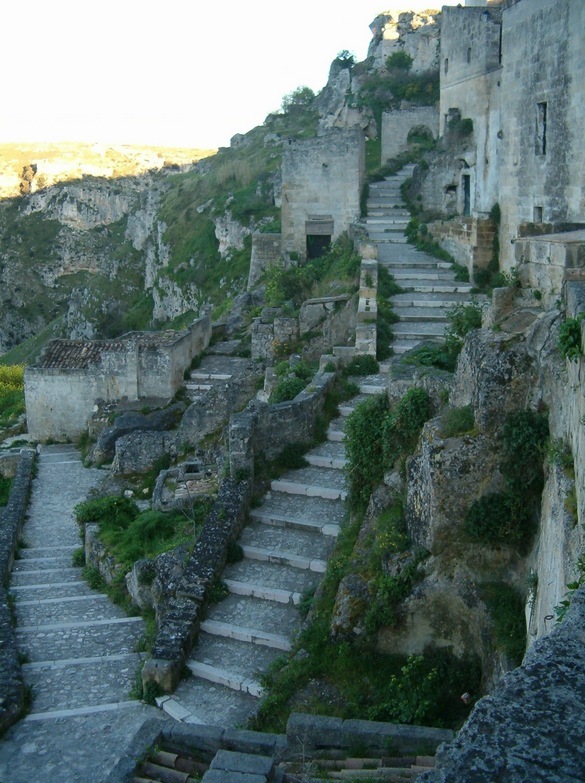 Until the 1980s, anyone that remained in the cliffs would have been trying to survive in caves that were basically unliveable, in a poverty-stricken area. 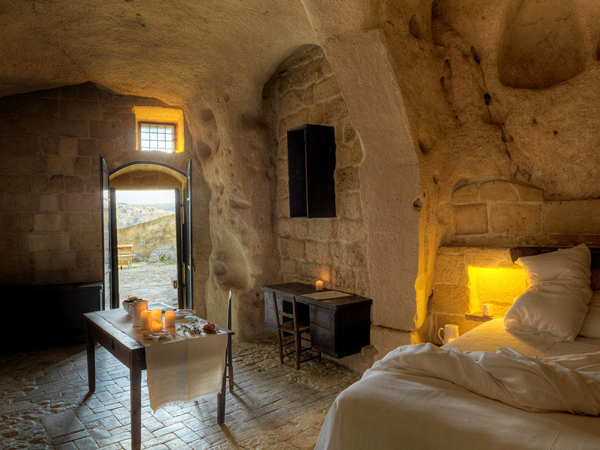 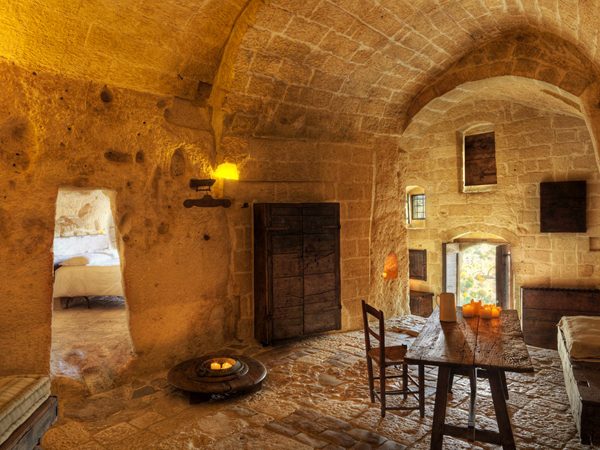 When Margareta Berg, a young German girl who ran away from her parents in Germany as a teenager, arrived in Matera, she found mostly hippies living inside the honey colored caves. 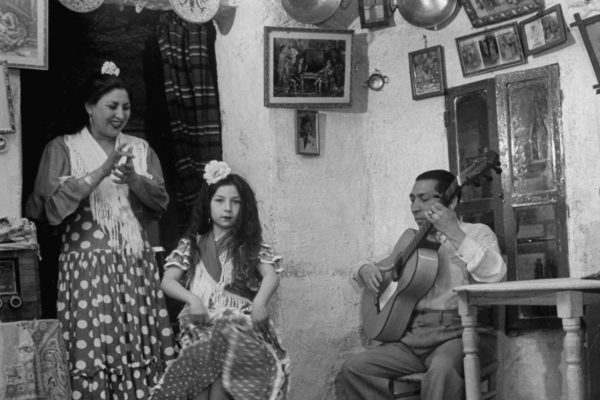 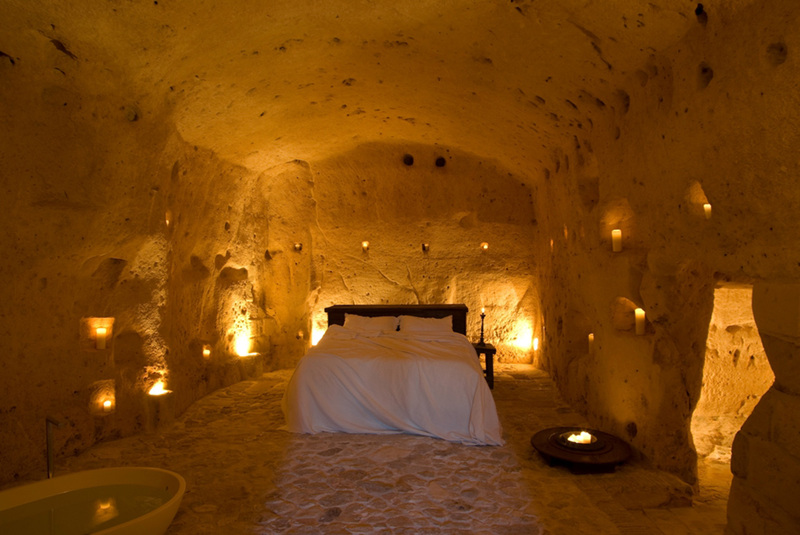 She would later be involved in the transformation of those caves into a hotel that would be listed in prestigious travel publications as one of the most beautiful hotels in the world. 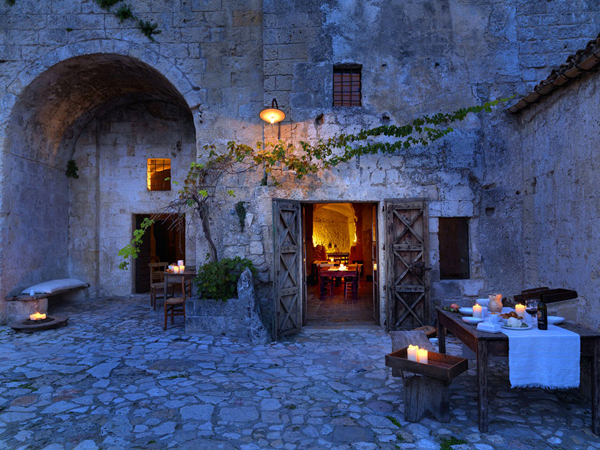 The mind and the owner of the hotel is Mr. Daniele Kihlgren, who Berg partnered up with after reading about his work restoring villages in Abruzzo in a newspaper. 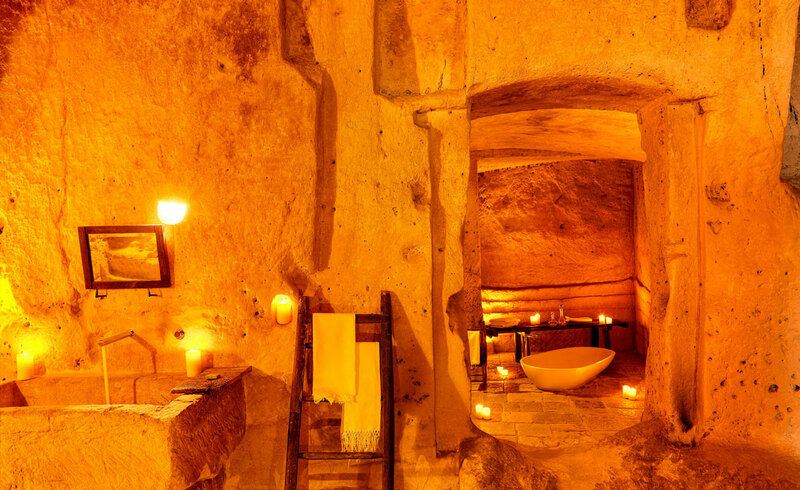 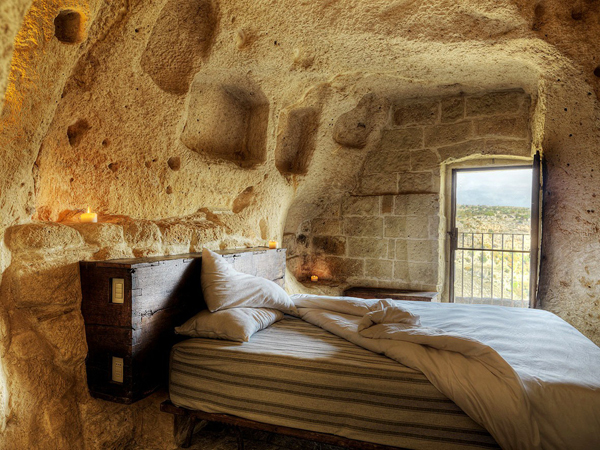 The Swedish-Italian entrepreneur, hotelier and philanthropist, spearheaded the campaign to breathe life back into the caves while honoring the simplicity of the dwelling lifestyle. 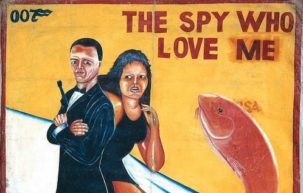 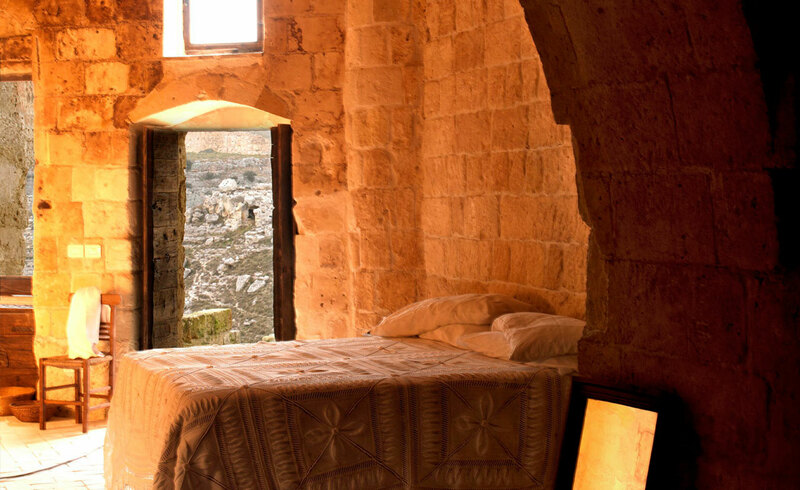 The unusual hotel has no stars and even local tourist offices usually haven’t heard of it. 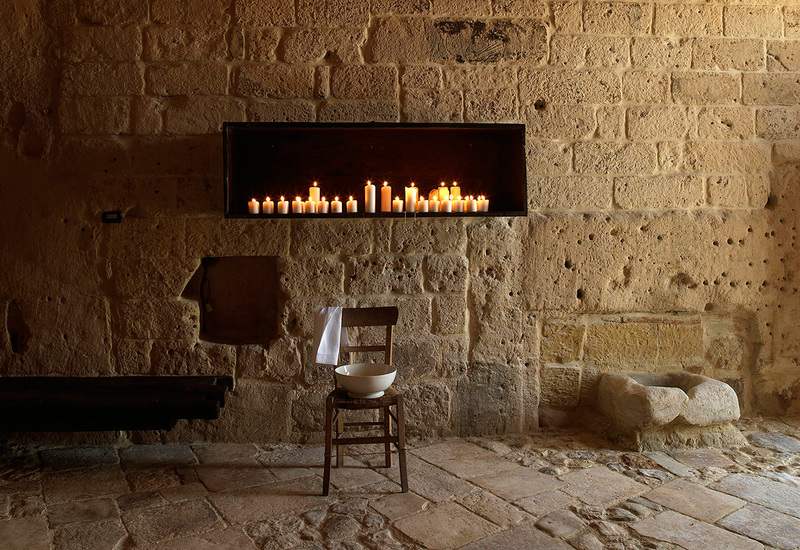 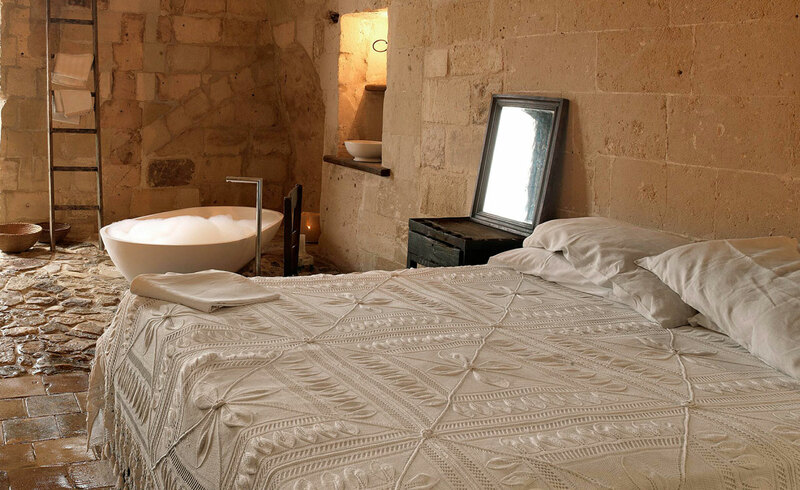 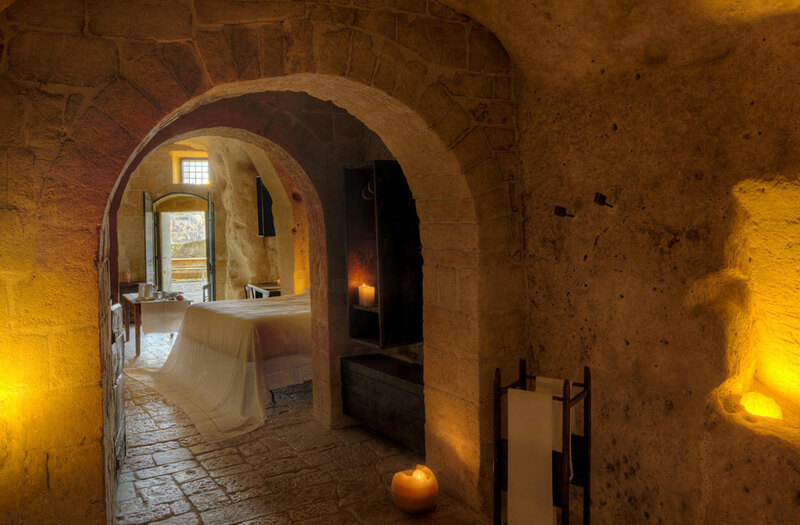 The rock-hewn rooms are breathe-takingly romantic, decorated simply but beautifully– and the flickering candles are not just for the cameras, the hosts make a point of making each room look like your very own private cathedral every evening. 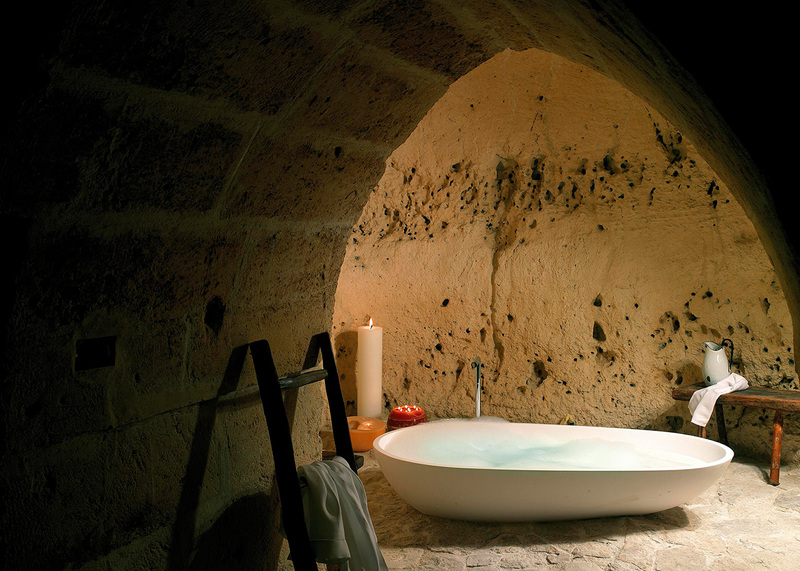 While the calming style certainly pays tributes to its simple roots (there are no televisions or telephones in the rooms), the time-worn cobblestone floors are heated from underneath, bathing involves a state of the art Philippe Starck bathtub, cleverly placed LED spotlights illuminate the hidden nooks and in case you’re not quite ready to disconnect, there is WIFI in every room (phew!). 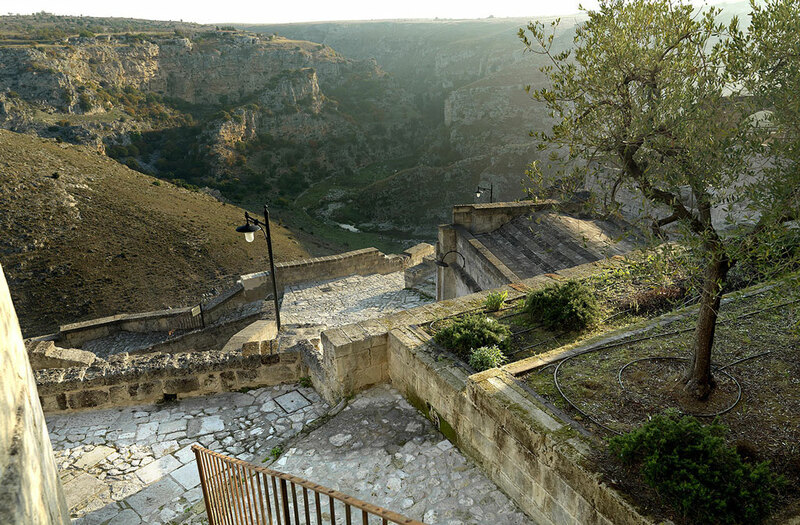 Today Maltera and the sassi (literally ‘the Rocks’) have been re-generated with the help of the government, the European Union and even the movie-making business– Hollywood likes to use the stunning gorge as backdrop (Mel Gibson filmed scenes from Passion of the Christ here). 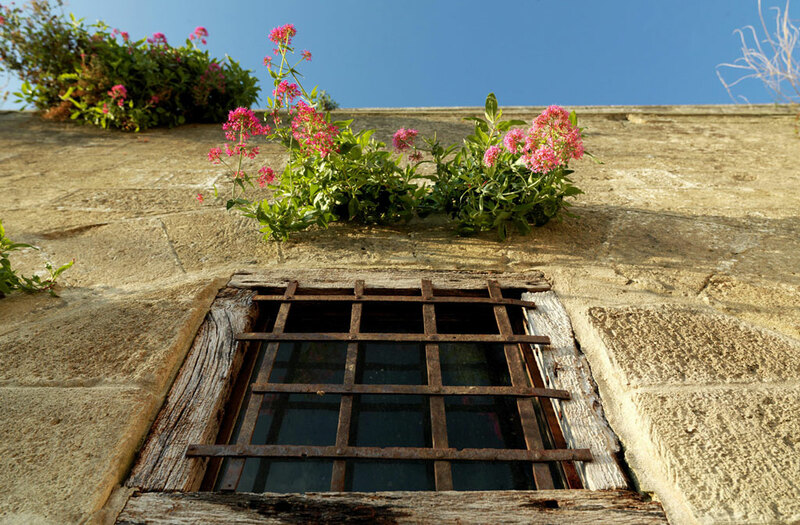 The towns are thriving with local businesses thanks to the re-generation. 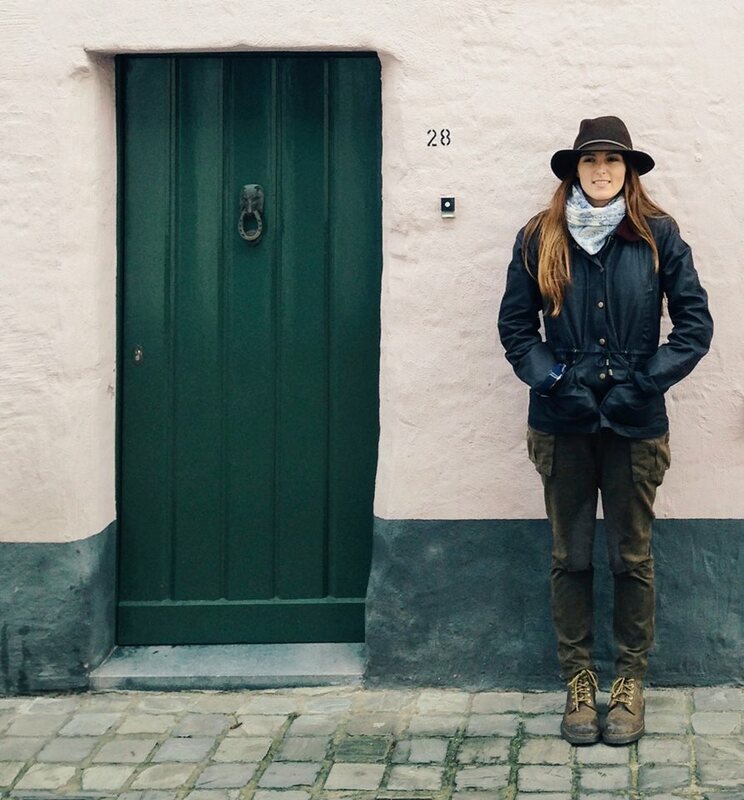 Daniele Kihlgren isn’t just stopping with one hotel. 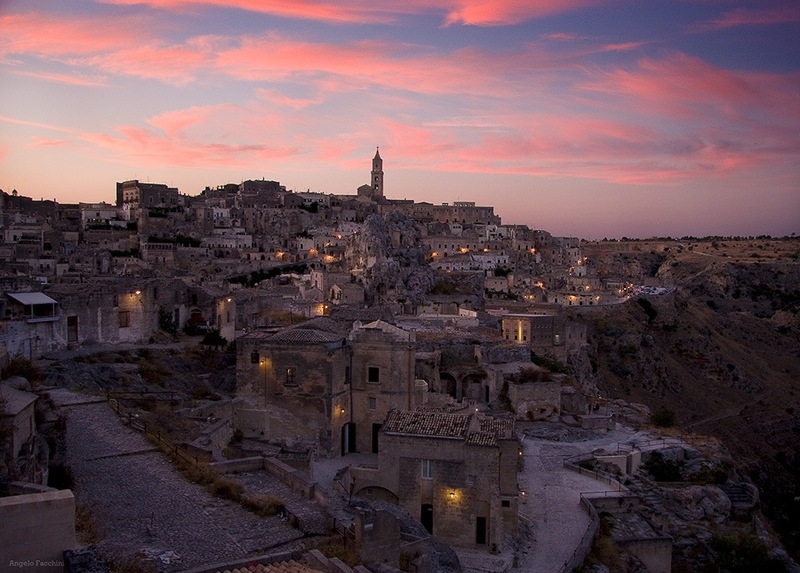 Italy has nearly 1500 abandoned historical towns and villages in its mountains and 2000 semi-abandoned. 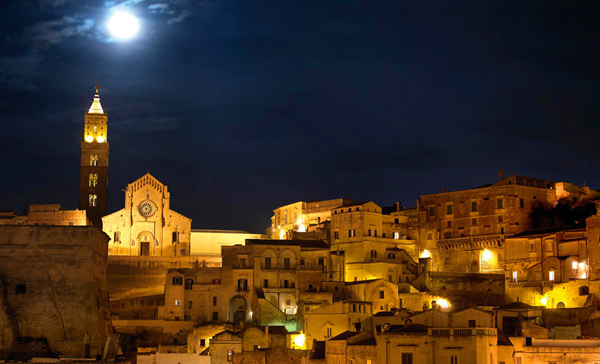 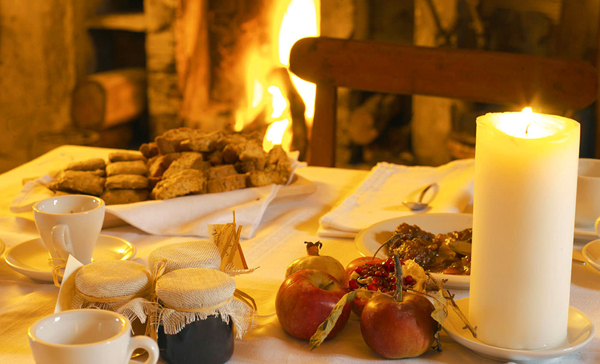 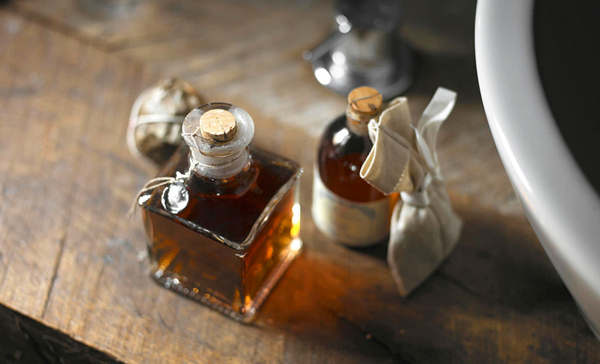 The idea or “mission”, is to restore the villages and the houses one by one and give them new life as restaurants, serving wine cellars, tea rooms, shops and ateliers to revive community in the sassi and entice travelers off the beaten path. 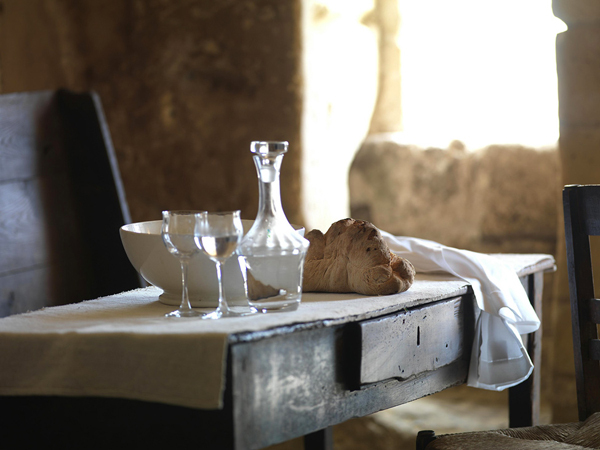 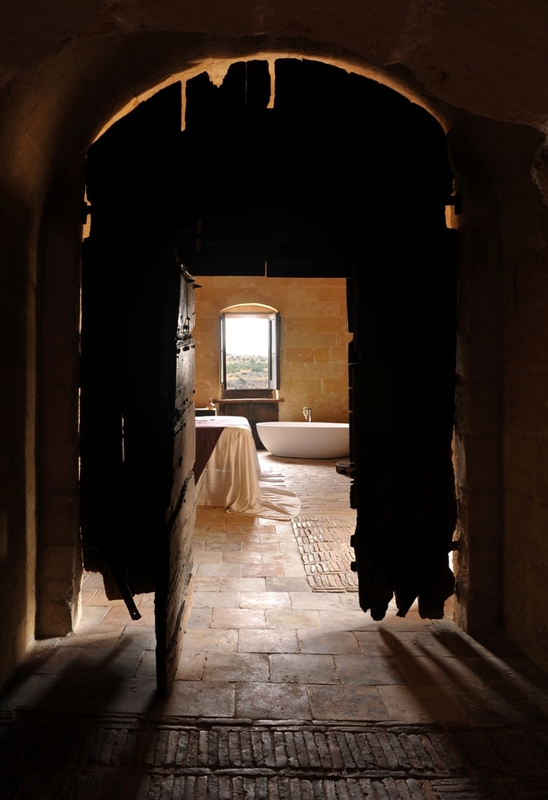 Sextantio, the group now behind Grotte della Civita has already acquired nine abandoned villages in the Abruzzi region with hopes to provide an innovative concept of hospitality. 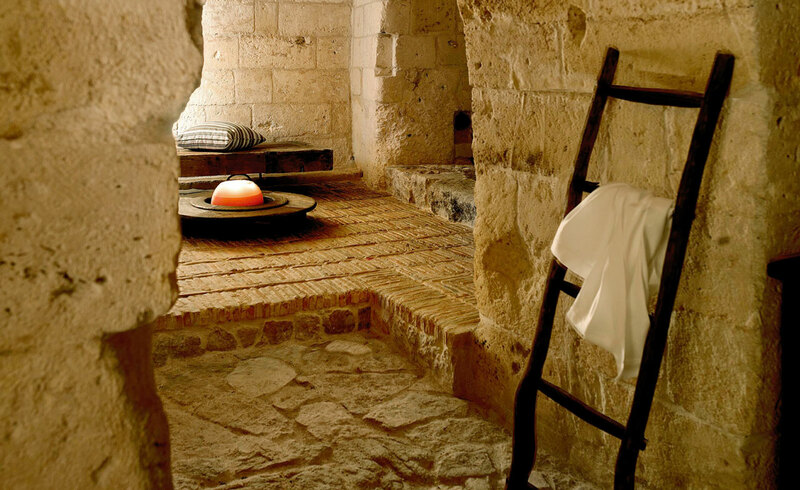 Their ethos is simple; in Italian known as Albergo Diffuso (literally widespread hotel), it implies that it is not for urban planning and architecture that the historical sites must bend, but it is the history and respect that must be imposed upon the final destination. 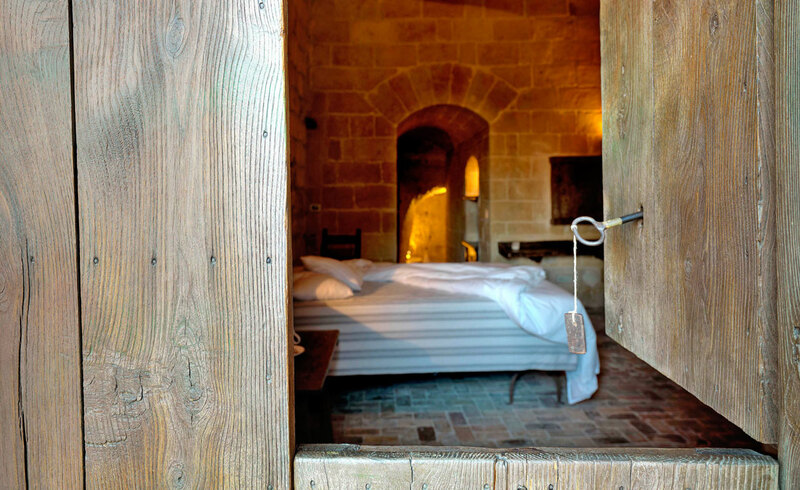 Rooms start at Grotte della Civita from 250 euros per night, visit the website here or follow the Facebook page here.